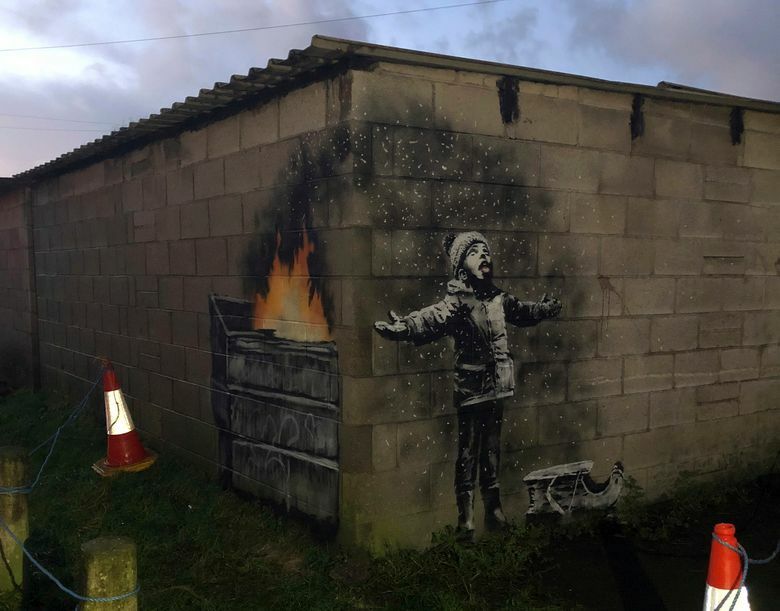 LONDON (AP) — Street artist and social commentator Banksy has apparently popped up in Wales, leaving a new artwork on a garage in Port Talbot that references the town’s air pollution. With the children’s song “Little Snowflake” as a soundtrack, the video shows images painted on two garage walls that form a right angle. On one side, a child appears to be playing in the falling snow, sticking his tongue out for snowflakes. The other side reveals that the “snow” is actually falling ash and smoke from a fire in a dumpster. Rachel Honey-Jones, 33, who lives the other side of Swansea Bay, said an artist friend of hers was tipped off about the artwork’s location and stayed overnight to guard it. “It’s amazing, an incredible addition to Port Talbot,” Honey-Jones said. The owner of the garage, Ian Lewis, 55, a steelworker for Tata Steel, said he first saw the piece when images spread on Facebook on Tuesday evening. 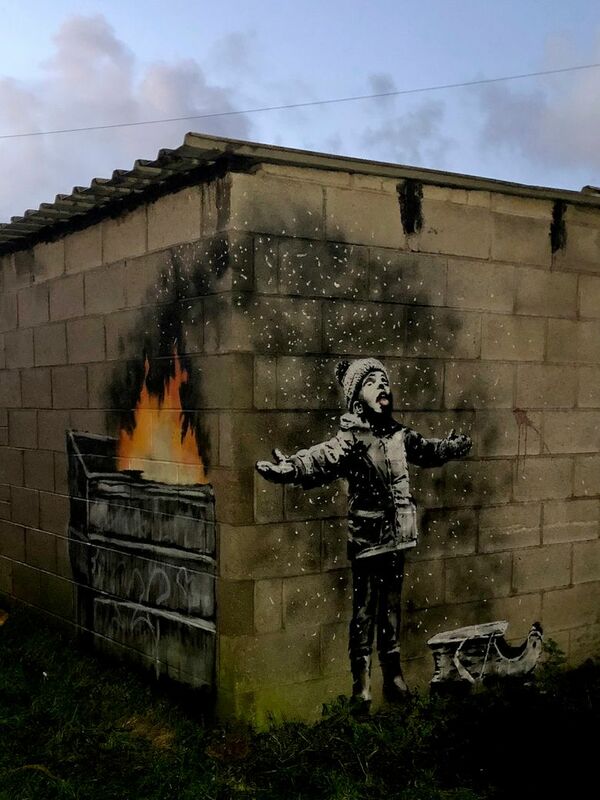 He said Port Talbot was probably chosen for the Banksy work due to news headlines about the town’s air pollution. In May, the World Health Organization apologized after it admitted that figures identifying Port Talbot as the most polluted town in the U.K. were wrong. It said Port Talbot’s air pollution actually measured 9.6853 micrograms, just under half the figure it originally gave the town and below the World Health Organization guideline of 10 micrograms. Still, black dust from the town’s steelworks covered houses, cars and pets in July, a possible inspiration for the artwork.